Lantana and Manalapan are neighboring towns located in central Palm Beach County. The Lyman family is credited with founding the town of Lantana in 1888. Lyman named the post office Lantana Point for the wild Lantana plants that grew in the area, but word Point was later dropped. In the early 1900s the gathering of oysters became the town's leading industry. The Town of Lantana was incorporated in 1921 and was one square mile with a population of 100 residents. I-95 was completed through Lantana in the mid-1970s bringing a surge of development to the town. From 1974 until 1988, Lantana was home to the largest decorated Christmas Tree in the world on the grounds of the National Enquirer. Today, Lantana covers 2.25 square miles with a population of about 10,000 residents, swelling to around 14,000 residents in the winter. The first homestead granted in Manalapan was in 1889. In 1931, the settlement was incorporated by Harold Stirling Vanderbilt as the “Town of Manalapan”, which is thought to be named after Manalapan Township, New Jersey. Manalapan is a small, affluent beach side community bordered on the north by the Town of Lantana; on the west by the Lake Worth Lagoon; and on the south by the Boynton Inlet. According to the Census Bureau, the town has a total area of 2.4 square miles; 0.4 square miles of it land and 2.0 square miles of it water. 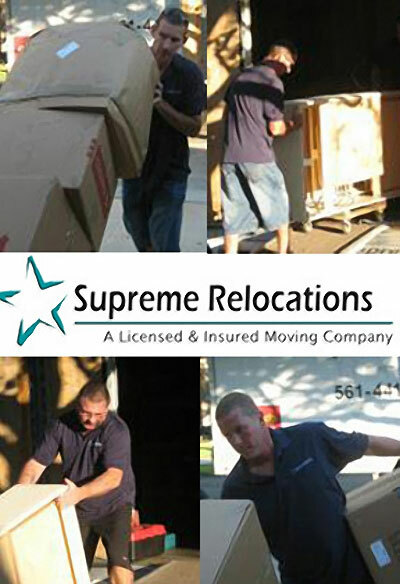 Lantana, Manalapan Moving Company Supreme Relocation are fully insured and provide a host of services that will take care of everything you need to make your moving experience smooth and stress free. We specialize in local moves in addition to providing moving services to anywhere in the USA. Supreme Relocation is an Accredited Business with the Better Business Bureau and a founding member of the Palm Beach County MVP Program. We are proud to have established a reputation for quality and reliability. Whether your move is local and long distance, we look forward to taking care of your family and your belongings.